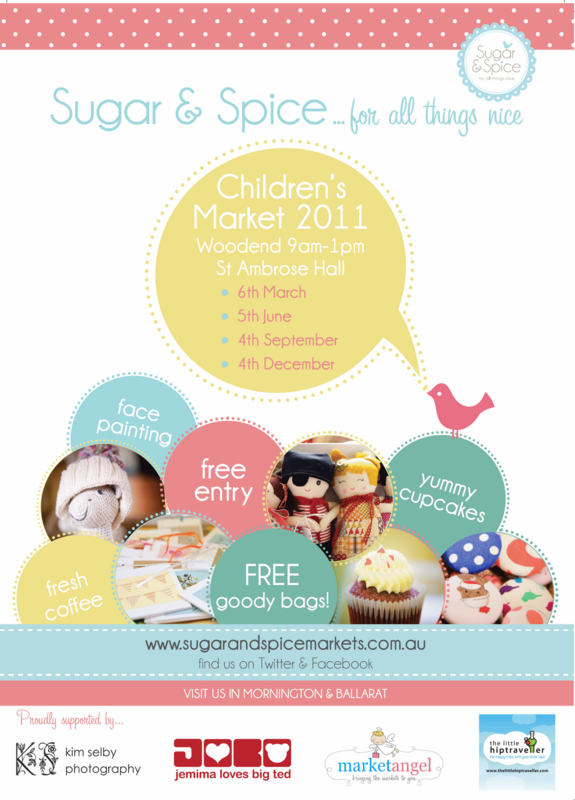 Sugar & Spice Children's Market: Poster perfect! Prue has out done herself once again! How gorgeous is this poster??!! As we speak (so to speak) 100 of these are being printed on glossy A3 paper. Volunteers to help get these posters out and about would be much appreciated. Gorgeous! Send some out to me - I'll pop them up at work, kinder & dancing for you. Email me if you don't still have my address.